Ronald E. Wheeler, MLIS 2001, recently began as the Director of Fineman and Pappas Law Libraries at Boston University. Prior to that, Wheeler was Director of the Law Library & Information Resources at Suffolk University Law School in Boston. In 2014, Wheeler was named to the Lawyers of Color's 50 Under 50 list, a comprehensive catalog of minority law professors making an impact in legal education. 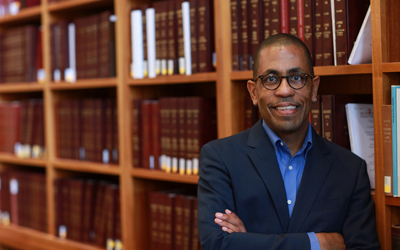 In 2015 Wheeler began his term as the first African-American male to be elected Vice-President/President Elect of the American Association of Law Libraries (AALL). He will serve as President beginning July 2016. Congratulations to an illustrious SLIS alum!